The librfc32.dll library can cause a lot of troubles. Also there are some issues in BW area especially with conjunction to BEx. I was blogging about one issue e.g. here. Some other examples can be with different BEx tools like Web Application Designer (WAD), Query Designer (QD), etc. where those tools cannot connect to BW backend. Here I’m providing information how to determine current version of this library available on SMP and where and how to download it. · Classic RFC library: comes with all major SAP Basis releases: 6.40, 7.00, 7.10, 7.11, and 7.20. 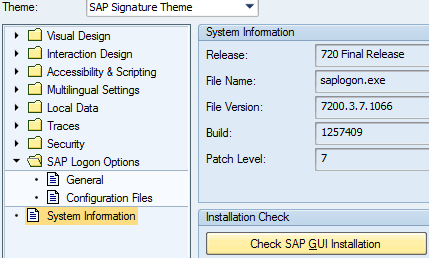 After end of maintenance period for SAP Release 7.10 this classic RFC version will be discontinued. To determine which version of library is involved in your issue depends on operating system that your SAP system does use. http://service.sap.com/swdc -> SAP Support Packages and Patches -> Browse our Download Catalog -> Additional Components -> SAP Kernel -> SAP KERNEL 32 or 64 /UNICODE -> SAP KERNEL 46D or 6.40 or 7.00 or 7.10 -> your operation system -> Database independent. In the list of files choose librfc_XX-yyyyyyyy.SAR. On last week (end of Oct 2011) I noticed that the very basic site for all the SAP consultants and users were changed. Yes it is HELP.SAP.COM. Actually the design of the page got aligned with SAP’s corporate homepage. Now it is dark blue on gray background as SAP homepage got this style in May 2011. Many of other SAP sites were already or are currently being to redesigned as well. In general I find this change quite useful and would like to encourage HELP.SAP.COM team to continue with the site improvement. See new blog called Tracking improvements of help.sap.com for overview of help.sap.com revamp in 2012. Reason of having this error is pretty unknown to me. I’m sure that none of my colleagues had this message opened. So then I can only imagine two possible cases. SAP support consultant had opened it in same time when I tried to update it. Or there was some error within SMP in general. Solution in my case was really just to wait. But I was trying to upload this for few hours until it was finally possible to upload it. 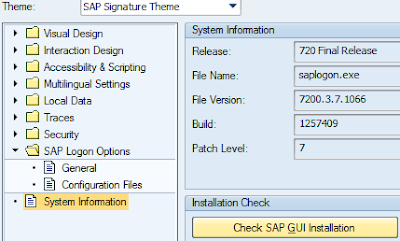 If someone from SAP Support organization by any chance comes across this blog can you update us what is going on in this issue?